Movie fans across the globe are in mourning today as it was announced that Alan Rickman, known for his roles in Die Hard, Robin Hood and of course as Severus Snape in the Harry Potter films, has passed away at the age of 69. 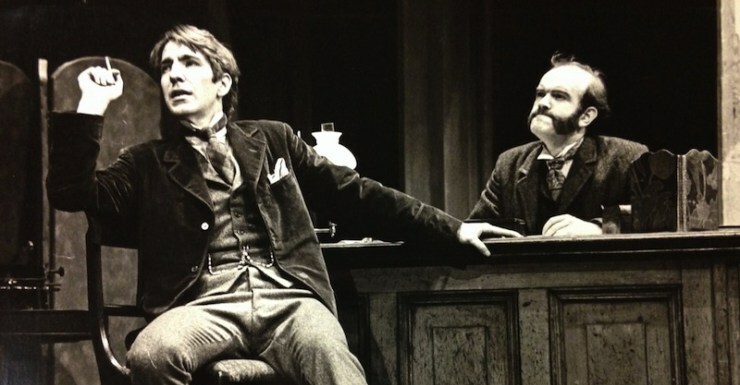 Holmes is played with superb coolness and languid authority by Alan Rickman in a performance which interweaves touches of melodrama with masterpieces of understatement in such an absorbing and funny fashion that it dazzles the audience. Others on stage therefore look grey and we have the odd phenomenon of a one-man show with a cast of more than 20. Sherlock fans may also recall that Benedict Cumberbatch is a virtuoso Alan Rickman impersonator, even impersonating his most famous character on The Simpsons.